Schools: Print the drama clubs cast list or the sporting schedule on napkins and had out to local restaurants. Corporations: Instead of providing note paper create that best idea on a cooperate napkin in the next brainstorming meeting. Religious Groups: Provide a list of church activities or mass schedules and had out to local coffee houses and other establishments. Restaurants & Bars: Print a mini menu for desert, special drinks, best sellers, or future events on the outside of the napkin. For just pennies a item you can create distinctive impressions. I know you can think of more and creative fun ways to use napkins for your next marketing campaign. How To Have Fun With Scribble Tees! 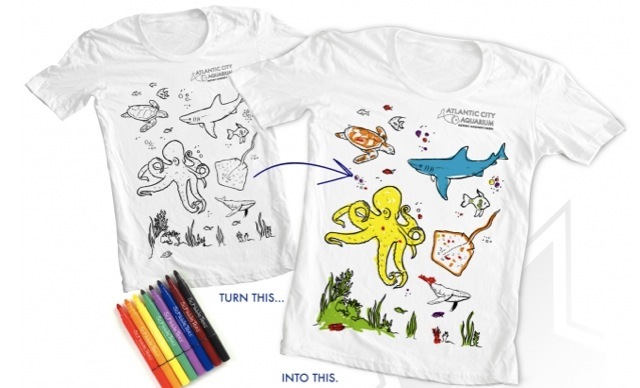 Have you ever wondered how to have fun with scribble tees? You can design your own t-shirt or use from the many stock artwork designs. These are great for camps, preschools, festivals, school fundraising, corporate events, team building activities, and much more. Don’t miss out on the special pricing for Proforma Distinctive Marketing and Espresso To Go Show follows only. Order 144 of these awesome t-shirts for only $7.85 each (freight additional) for your next event. You can contact us distinctive.marketing@proforma.com or call 317.644.6807. Video Product Review of a great budget stadium seat. Get comfortable at your next sporting event with a promotional product. Great for the football and basketball season. Eric discuss a new product from another local company here in Indianapolis, Rivetz. If your looking for new and distinctive ways to fundraise differently this is a great new way.